Piranha 3D is one of those movies that makes you wonder just how the hell it made it through the Hollywood system. It has money and real actors, but it looks like something The Asylum would put straight to DVD (And they kind of have already). Not that Piranha 3D looks bad, but the camp value of this piece is incredibly high and movies like that hardly ever get this big of a push into the mainstream. Even Mega Shark vs. Giant Octopus didn't get this much play, and it is called Mega Shark vs. Giant Octopus. How do you not love that? 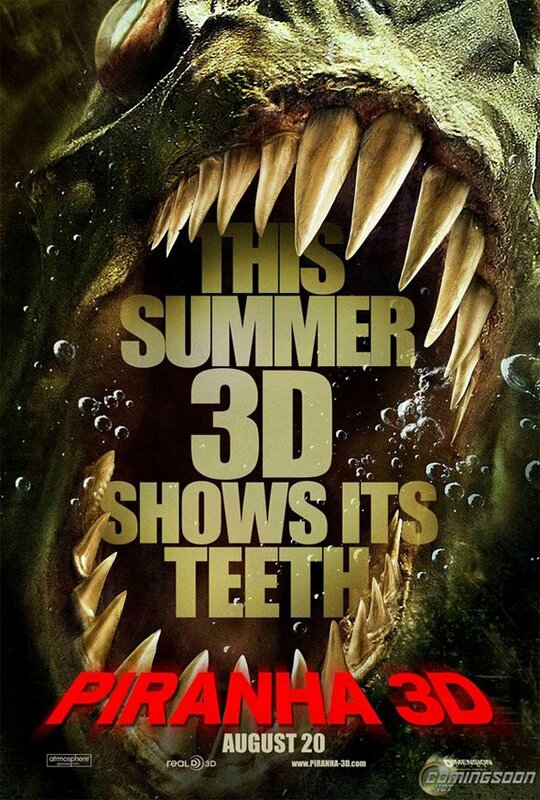 Disregarding the mystery behind its existence, the premiere of Piranha 3D is growing near and ComingSoon has landed this new poster for the film. The title and tag line again inspire thoughts of a future where "3D" at least stops being used to sell the movie, but beyond that it's a fun and fitting poster for the movie, which somehow has Richard Dreyfuss in it, possibly looking for someway to recreate his experience on Jaws. Piranha 3D drops August 20th so get ready for a Snakes on a Plane-style midnight viewing party. Every year the population of sleepy Lake Victoria explodes from 5,000 to 50,000 for Spring Break; a riot of sun and drunken fun. But this year, there's something more to worry about than hangovers and complaints from local old timers; A new type of terror is about to be cut loose on Lake Victoria. After a sudden underwater tremor sets free scores of the prehistoric man-eating fish, an unlikely group of strangers must band together to stop themselves from becoming fish food for the area's new razor-toothed residents.